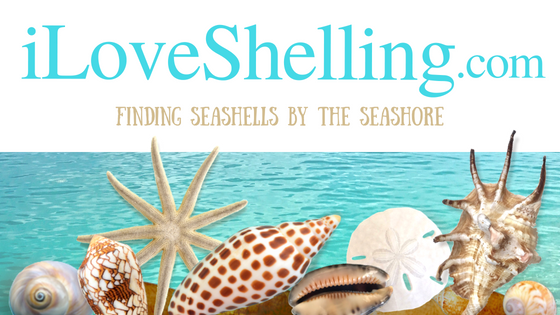 My heart is all warm and shelly after receiving 3 boxes of seashells this week to reimburse the shells used in making the hearts and flowers for Shell Love Bug. I’m pink with gratitude to Melanie Herrin who sent many gorgeous ROSE PETAL TELLINS. I know these precious shells aren’t easily found and I would have never asked for them if I wasn’t in a pinch (as I explained in my blog post Seashell Repurposing). So I’m grateful she sent them to help finish creating Shell Love Bug. Omigosh and she sent other shells I needed to replace … FLORIDA SPINY JEWELBOXES and SAILORS EARS. Melanie also made a JINGLE SHELL bracelet to be sold at the next Sanibel Shell Festival in March to raise money for the Sanibel Community House- so very sweet! Melanie made a few shell creations for the Shell Love Bug box as well. What a “sweetheart”. Sweet, Sweet Marie McDermed. She and her sister have kept me going through the years, for sure. Marie sent a huuuuge bag of SAILORS EARS that will replace all of the ones used from the inventory of the SCA Shellcrafters. And she took so much care in separating ( left valves from rights valves!) and bagging so many different color COQUINAS to replace what was used in the hearts. Marie, I’m a lucky girl to know you. Linda Gammon is so clever! I couldn’t help but smile seeing sooooo many beautiful coquinas for Shell Love Bug. I smiled at feeling grateful but I also had to smile seeing the clever packaging in which she thought to send her sorted COQUINAS. Thank you from the bottom of my heart to these dear givers who donated these shells to help with finishing putting together this shell car. I had the idea of making a mobile seashell art piece of the first annual National Seashell Day so I turned a car into a Sailors Valentine… but I didn’t have all the total 20,000 shells in the Rambo Shellaboratory. I’m grateful to the folks who donated shells (and helped glue shells) while creating Shell Love Bug last month and to these lovely contributors Melanie, Marie and Linda who have made it easier for me to get things back in order. I can’t thank you enough!! I’ve also been scouring the beaches looking for purple COQUINAS this week and I had lots of great luck so I think that’ll do it for replacing shells. Yay! Hooray for these wonderful ladies, so graciously donating the fruits of their labor of the Sanibel Stoop”! They paid it forward so you could pay it back. I’ll be in Sanibel in less than 2 months and hoping to see the Shell Love Bug while there. Does “Shelley the Bug” have a schedule of public appearances? I’d love to “meet” her! Shellers are the best people! haha yes! there were lots of fun women… and men … with tubes of glue called Goop. check out http://shelllovebug.com for info and pics of all 65 of the volunteers. It was a pleasure to be able to share in the Shell Love Bug effort. Hoping to see it in Dec.
Are you going to produce a step by step of how you made the Shell Love Bug? How did you get your car? How did you design it? How did you transfer the design? Now I know the glue. Did you do any stills or video of the process? It fascinates me that you were able to go from idea to completion in such a short time. My mother, Anna Ham, and I have been coming to Sanibel for years and have always been off schedule with your tours. We will be at West wind November 9-13 and hope to go on a trip with you. It will be my mom’s birthday and this would be such fun. Please let me know if we hit the jackpot of a trip with you this time. advise as to your schedule and the love bug’s too. not too far away (Naples) so I can come on relatively short notice. Hi Gail, thank you so much, honey. SCA Shellcrafters could prob still use coquinas but prob have enough to work with now. If you still have some that you know you will never use, I’m sure it would be helpful if you brought them with you on your next visit. Don’t y’all usually come in early fall? Just checked out the Shell Love Bug site, to see the tour schedule. Loved reading the faq and learning how it happened, also great pics on volunteer page.😊 Sad to see she has no plans to be out and about anytime soon. I think she needs a permanent home where we can visit her whenever we happen down to Sanibel. We are doing our yearly family va ca at the beginning of August and was super excited to check out the bug….but I didn’t realize she didn’t have a permanent home to be displayed. 😔 Maybe next year, Im dying to check out this awesomeness of a bug. She’s so beautiful. Brilliant idea Pam!